Cherry blossoms are not the only reason to head to Tokyo this spring. Hand in hand with the flowering of its iconic pink blooms are a raft of new openings and events across the trends-triggering megalopolis. From edgy new design hotels and exquisite gin cocktails to photographic exhibitions and haiku-perfect flower shrines, Tokyo in spring will tick all the boxes. Here’s a selection of the very best experiences in Tokyo to add to your itinerary. The Blind Donkey – one of the most hotly awaited Tokyo openings of the past year – is the result of a culinary partnership between Japanese chef Shin Harakawa, known for laidback Californian cuisine at his now closed cult restaurant Beard, and Jerome Waag, formerly of Chez Panisse. Sustainable and seasonal with a menu that changes weekly, the restaurant serves ‘natural cuisine’ – from daikon salads and venison risotto with Japanese sansho pepper, to grilled chicken with preserved yuzu – served up in the intimate new space in Kanda. A range of six signature cocktails take centre stage at NAMIKI667, the sultry bar at the new Hyatt Centric Ginza Tokyo hotel, which recently opened its doors in the luxury Ginza retail district. Each of the original cocktails has the same base: the delectably aromatic craft gin Roku, distilled with a heady array of Japanese botanicals. The hardest part is choosing whether to drink a Roku Sakura Fizz or a Roku green tea martini. It’s all about flowers at the traditional Shinto shrine Kameido Tenjin, located in Shitamachi, a low-key downtown district of Tokyo. From late April, the precinct receives a romantic purple makeover thanks to its wisteria plants. The cascading wisteria, which hang from trellises and reflect onto the surface of a tranquil pond, transform the shrine for one of Tokyo’s prettiest festivals. Dip a creative toe into the world of Japanese photography at the Tokyo Photographic Art Museum in Ebisu. More precisely, explore its roots in the exhibition Geneses of Photography in Japan: Nagasaki (running until 6 May), which showcases an impressive collection of Japan’s earliest photographs. Here, black and white shots – complemented by maps, paintings and crafts – take visitors on a visual journey through 19th century Japan. One of the best places to head for a quick road trip is Kamakura – a pretty coastal town with a thriving surf community, green mountains and historical temples. Explore the winding lanes, the hidden organic cafes and the big Buddha statue at Kotoku-in temple – before heading to the beach to catch some waves, looking out for the silhouette of Mount Fuji floating in the distance on a clear day. 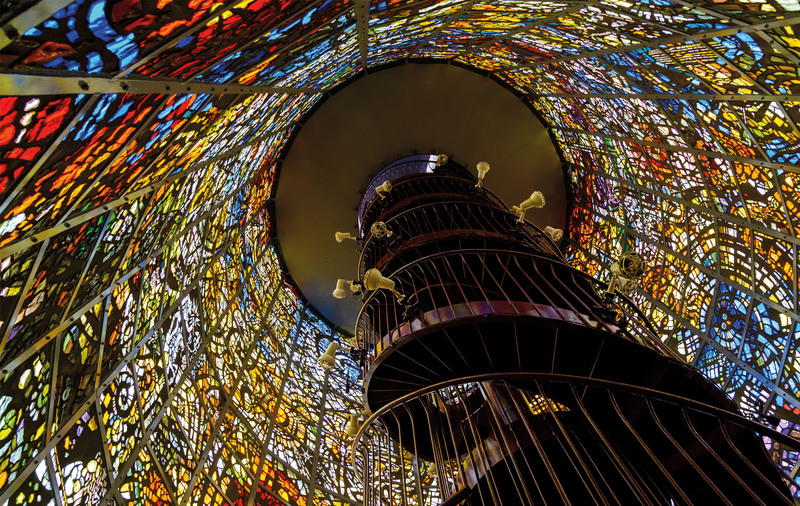 The Hakone Open-Air Art Museum – home to 100-plus contemporary artworks, from Miró to Moore, scattered on a picturesque mountainside in the hot-spring town Hakone – may be a bit of a trek from Tokyo by train. But it’s well worth the effort, if only to catch the perfect snap of a contemporary sculpture against a dramatic mountain backdrop on Instagram. With its quiet lanes, old-school family-run shops and cycling grannies, Kiyosumi-Shirakawa is a time capsule neighbourhood in the heart of Tokyo. It’s also a creative hub, with a growing number of art galleries opening, as well as a string of hip new coffee shops in sleek architect-designed spaces – from Blue Bottle (the company’s first outpost in Tokyo) to Allpress Espresso and Arise Coffee Roasters, one of the area’s original craft coffee pioneers. Hibiya, a district known for its business towers and government offices, is home to the just-opened Tokyo Midtown Hibiya. The second Midtown development to open in Tokyo, the new shopping and office complex is housed in a 35-storey tower, with dozens of luxury fashion shops and high-end restaurants spanning the first seven levels. A Hibiya Festival to mark the opening – with a string of music and dance performances – will take place from 26 April to 20 May. Among Tokyo’s shiniest new properties is OMO5 Otsuka, which will open in May, with 125 guestrooms fusing clean-lined modern design with startlingly affordable prices – some from as low as ¥5,000 (HK$360) a night. The latest brainchild of Hoshino Resorts, it’s among a series of new OMO hotel openings this year, with other settings including Asahikawa on Japan’s northernmost island Hokkaido. Billed as a ‘puzzle theme park’, this five-storey haven of escape and stealth games opened in Shinjuku at the end of last year. For escape games such as Escape From The Prison, which runs until the end of April, players have to use clues to solve a mystery within a time limit. ● Arriving at Narita Airport? Skip taxis and instead jump on the Narita Express train (jreast.co.jp/e/nex) – one of the easiest ways to get into town, taking around an hour. Alternatively, take a limousine bus (limousinebus.co.jp/en), which drop visitors at a string of inner-city hotels. ● Haneda Airport (www.haneda-airport.jp/inter/en/access) is closer to the city centre, and well connected by the Monorail and the Keikyu Line. Taxis cost around ¥7,000 (HK$500). ● Try to have addresses written down in Japanese for taxi drivers (and insist they use the sat nav). Don’t try to open or close doors – they open automatically. ● Also resist the urge to tip, unless you would like cafe staff or taxi drivers to chase you down the street to return your money.